The expedition itself boasts a roster of over 12.000 commanders that signed up for a long journey across the galaxy on a final destination for Beagle Point. Player events like these... as massive as these don't happen every day so it's of no wonder that Distant Worlds 2 spurred a lot of fuss among all types of commanders. Should you join the expedition and be away from everything else for months? Or should you stay behind and miss on any potential new findings in the deep black? It was a choice everyone had to make for themselves. With such high numbers, it was to be expected that the expedition will peak interest in a lot of PVP players as well. And this is where our story begins... From the first official moments of the expedition, gankers and griefers have been shooting at pretty much everyone in front of their ship causing billions of credits to be lost to the infamous rebuy screen, making Distant worlds 2 most probably the bloodiest exploration mission to date – and they're not showing any signs of stopping. To analyse the whole situation, we'll have to divide our approach into both sides in hope we can understand them better. Explorers are the heart of any space game. It's the urge to explore, to find something new, to be the first one to name a star that drives them. When it comes to Elite, explorers have been neglected for a very long time, and finally, with the latest chapter update they got some dedicated tools to play with and make the „jump-honk-scoop“ routine a bit more engaging. Your average explorer (let's call him CMDR Expi) is probably at work during the day... Busy with RL stuff, family even... CMDR Expi logs into Elite to scratch his space itch, look at the most beautiful realistic rendering of our galaxy currently available in hope it will be him to discover something first. Something that went hidden from everyone. If nothing else – there are billions of stars just waiting to be found! CMDR Expi spends most of his ingame time doing just that – exploring! With RL stuff taking most of the day, there’s a limited time for gaming – so he’ll do whatever he likes the most. From the game's perspective, exploration is a playstyle with a very low skill entry. You don't even have to spend hundreds of millions on outfits nor you have to grind for months to actually engineer the ship to be good at exploring. Heck, they don't call Elite the best screenshot simulator for nothing! Grab a ship – point it at a direction and start jumping. Not everyone likes to PVP. Not everyone likes to explore either. But unlike any other game mechanic, PVP relies on two things only. The ability of the developers to balance their game and, obviously, other players. Our average PVPer (let’s call him CMDR Parry) is a competitive person. He doesn’t care much about PVE, and potentially finds it a nuisance. NPC AI is something you get used to, something you learn to adapt to and learn to counter. After you master the basics – it becomes repetitive and boring. CMDR Parry needs a bigger challenge, and he finds it in fighting other people. Other PVPers think like he does and it’s the pinnacle of success to outsmart the unpredictable nature of whatever your opponent will try to pull! CMDR Parry spends most of his ingame time calculating various ways of maximizing everything on his ship. Shields, guns, hull, weapons, boosters… you name it – and spends countless hours doing PVE content (which he does only because he has to) so he could finally get that extra 1% of extra damage or shields. It’s a tremendous effort that needs to be done because every other PVP player will do, and in the process – make the whole thing mandatory for every future PVP lover. Now at this point – we need to look back at one of the PVP requirements in general – game balance. This is something Frontier fails miserably at. The sheer difference between a stock A-rated ship (something that can basically take on any PVE content) and a fully engineered killing machine is insanely huge. Now, even though it might not look like it – PVPers are a large minority when it comes to player count. They are so scarce, they mostly know one another by name and by their playstyle. They are a tight group that will gladly discuss ship fittings and show you the ropes of PVP as long as you’re willing to listen and learn with them. And this is where game balancing comes to play – The problem with CMDR Parry and the rest like him – is the fact that they all have such powerful ships, they are pretty much unbeatable. Even by other PVP standards! So we come to a point where CMDR Expi gets new and different content with each update, but CMDR Parry is stuck with shooting at the same boring rats or the same PVPers flying the same OP ships like he is… And in that split second when CMDR Parry actually finds a fresh target – they will most probably combat log due to bad game design from both the networking part and ship balance leaving our PVPers with little to no fresh/different content to consume. While the expedition is a fantastic way of providing explorers new content, new people to meet and new places to see, at the same time it’s an amazing opportunity for PVPers to engage in mindless bashing of random people they have been craving for a long time, yet couldn’t get a chance due to multiple game modes splitting the community and a simple fact that the galaxy is huge – and you don’t get many people at the same spot that often. So what happens? Well, obviously a small bunch of PVPers go berserk and vividly demonstrate how powerful engineered ships are in comparison to stock ships – or even worse, fully stripped exploration vessels. People flying in open mode should, by now, really be aware that anyone can attack them at any point. Flying a shieldless Asp that has been stripped down to the bone for that extra lightyear of jump-range and expecting to live through the encounter is crazy. Even a simple NPC pirate interdiction will most certainly get you killed in such a fit! Open is the playground for every PVPer. It’s a valid type of gameplay just like any other and it should be common knowledge. Private groups offer a bit more coverage, but it’s all up to the admins and how fast can they filter out people they don’t want in there. Unfortunately, Elite doesn’t offer extended user management or any form of advanced contact management so there’s no easy way of keeping track of people. This results in a lot of PVPers “infiltrating” private groups for a few rounds of easy kills before they get reported and booted out. So finally… how do you explain such behaviour? How do you justify a stranger going out of his way to ruin someone’s day for no personal ingame benefit? First of all – it’s just a game. Just as CMDR Expi finds pleasure in honking for the whole afternoon and doing the exact same thing for hours upon end (that CMDR Parry finds insanely boring), we have CMDR Parry who enjoys blowing people up. Especially if such people are not a part of his usual routine. It’s “new” and “fresh” content. It’s the player interaction and player response to a given situation that he is looking for. Now don’t get me wrong – by no means should bullying be encouraged, but what really triggered my alarms is the way “peaceful” explorers responded to these attacks. At no point did they round up massive forces to fight back (remember, PVPers are a minority) – but rather go all out on various discord servers or other public social media with real-life threats and bad language in general! Now I hear you – those are only a few people from thousand others. But so are the few PVPers that actually go to tremendous distances to ruin someone’s day. If you got blown up – ask yourself: Was I in open? Was I in an SRV while my ship was landed and undefended? How aware of my surroundings was I? There are lots of ways that can help you stay safer. Being salty in chat or threatening won’t help anyone. On the contrary – it will just encourage bad behaviour. And if you’re like CMDR Parry – put yourself into the position of the person in front of your guns. Are you shooting because you like doing stuff like that ingame? Or are you just blowing up a ship because you can? Is the pilot flying an anaconda with a low combat rank so he doesn’t “deserve” it? And by all means – try and talk to them first! You’ll probably oneshot them back to their homestation thousands of lightyears away anyway. You might even bump into a friendly chap that will make you laugh or convince you to spare him for whatever reason. Maybe both of you are RPers! As the expedition keeps progressing, most of the gankers will start going back to the bubble since they either won’t be able to keep up with explorers with their short jump-ranges or simply because they’ll get bored. However – do not think for a second that the attacks will stop. How do I know? Pure and simple player determination. That single voice that keeps pushing explorers deeper and further out got us to Beagle Point even before we could engineer the ships and get huge jump ranges! That same voice will be stuck with some PVPers pushing them further out in a search for the most distant gank ingame. @ChozoSR388 - You missed my whole point. I'm not even playing ED, I was just saying that your "harassment" is a LEGIT gamestyle for some people AND fully endorsed by the devs of the game. Yes - I'm sure there are PvPers that love to make other people miserable but those are a minority. Others just enjoy player interaction - no matter what it is. That PvPer that killed a peaceful miner will get blown up 4 systems later by a wing of other PvPers. Is he crying how it's unfair? Did that make his life miserable? No ofc not! It's a gamestyle he enjoys. By saying it's "harassment" is stigmating the whole part of the game you simply don't enjoy. Why do you think there are bounties? Crime and punishment systems or whatever frontier is calling their system. There are tons of dev hours poured into such mechanics and you cannot just call it "harassment" just because you don't like doing it. @Ryn Tsero I just love how you jump right to the whole put up or gtfo thing. "Screw everyone else's fun, 'cause the universe revolves around me". A game is meant to be enjoyed. By ALL involved. Why don't you just go play with the other PvPers? I mean, that's obviously what you're looking for, am I wrong? I realize that Elite is a game. But what I don't understand is why people feel the need to make people who are minding their own business miserable. Are y'all really that jealous of people who actually enjoy what they're doing? I know that combat kinda got the short end of the stick in Chapter 4, but there's got to be something better to do than harrass people who just want to have fun exploring. And let's face it, harrassment really is what it is; there's no monetary gain to be had, it doesn't give you any further rank in combat, because if you're flying a combat focused engineered Conda or so, the chance of you being Combat Elite are almost guaranteed, and as far as I'm aware, there's nothing in the way of materials to be gained from PK. It's something that's being done simply because you can. And we shouldn't have to flee to single player mode or private group just because you wanna be a jacky. I've been on the wrong end of the gank many times. I've been to the re-buy many times. i'm sorry to say that if you are going to play in open, you take your chances. if you are out in the middle of nowhere and another cmdr appears....LEAVE. practice the submut to interdiction and highwake away routine. it only takes seconds. what does make me mad however is when these players can attack inside so called no-fire-zones with impunity. cops are not aggressive enough to put a stop to it. i want to echo something said in an earlier comment. why aren't the victims coming together to beat back the gankers? @Michael - Everything you said is true for OTHER GAMES. Why do people feel entitled to tell the devs of the game how the game works? The "opt-out" PVP is how they envisioned the game. If you don't like it - don't play it. Simple as that. I've seen three approaches to PvP. I'll describe them simply. "Second Life" has "opt-in" PvP; it's mostly a social platform, where most action is PwP: Player WITH Player. You must go to a PvP area, or add a HUD to your character's outfit, to keep score in PvP. You lose nothing of the rest of the game when you lose in combat: You keep your house, your add-ons, whatever. It's just a score, or some game-within-the-game item that doesn't affect your investment beyond your role play. "Elder Scrolls Online" has "opt-in" PvP as well: It's primarily PvE, but you can enter a PvP area or choose to duel another consenting player. Other players cannot harm your character outside of these circumstances, and even in PvP, little is lost. "Elite: Dangerous" has "opt-out" PvP: You are open to becoming a victim with no practical protection unless you opt to play "Solo" or in a private group which forbids PvP. A victim of non-consensual PvP can lose a LOT in game...things that are equivalent to months' of pay. Imagine real life, where a mugger can destroy your life just to watch you cry. That's Elite: Dangerous. Some explorers don't reach a "save" point for literal MONTHS of their lives, and for many people, the game IS their life, outside of the workplace. Open Play is where they meet people, rather than bars or random streets. PvP takes much of the joy out of their lives, not just their game time. 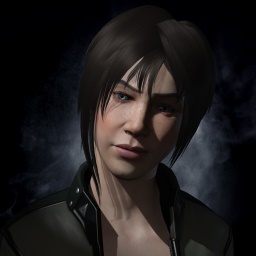 Attacking other players in Elite: Dangerous is rewarding to psychopaths, because they get "Notoriety" and trivial fines or other "punishments" that have no practical impact on the criminal. Plus, they get to make babies cry. They like making babies cry. In the real world, these people would be in prison, unless they were government officials. It's not funny; it's sick. Don't reward it. @Ryn Tsero. Actually, what you call a "shitfit" is a proper fit while the other way around is the real shitfit. So don't be getting upset just because some pilots refuse to be your precious content. We don't need you, but you need us. Remember that. As someone who plays EVE, I find the reactions of these carebears hilarious. If I got this right - you have people that willingly play an online game where you fly and shoot spaceships... they fly shitfits with no defense at all and then thy cry salt when they get blown up? Oh my sweet summer child... As soon as you undock - you consent to PVP. It's simple as that. Your priorities are not what everyone has in mind when they launch the game. You like exploring? That's fine. But there are people out there who like player interactions - no matter the outcome. Seeing people whine about being blown up just adds the extra fun factor. But no matter what happens - talking crap, insulting or threatening anyone should NEVER happen. It's a game... don't take it serious. As a latecomer to DW2 I think this pretty much nails it. People come in various forms, and I myself have witnessed some really unnecessary drama and bad mouth from fellow explorers. Not everyone is like that. Same goes for gankers. I'm sure a lot of the initial ganks were from people that normally don't PVP but just joined the bandwagon. But that doesn't have to be a bad thing. Maybe this encourages them to PVP more often! Maybe that gives your usual PVPer more content. Maybe that gets frontier to actually fix the damn netcode after all these years. Just do your thing - whatever it is and have fun. Besides - THIS is what makes a story. THIS is what will make you remember elite and that commander who attacked you. You most certainly won't remember that star you honked at between thousands of other stars that day. It's the player stories and happenings - not your mundane repetative things you do every single day.